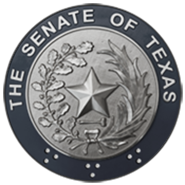 The Senate Research Center provides quality, specialized, objective research and information to the Texas Senate and Office of the Lieutenant Governor. Serving the people of Texas as a nonpartisan component of the legislative process and promoting an environment of cooperation, respect, and responsiveness with participants in the legislative process. Assisting legislators in making sound public policy by producing innovative, accurate, and thorough research. Maintaining a highly qualified staff by continuing to develop our skills as public policy researchers. Creating a strong sense of teamwork among the members of our office and pursuing a positive relationship with all areas of Texas state government. Remaining a respected and integral component of the Texas Legislature by providing members of the legislative community with timely information and research. SRC responds to research and information requests from the Lieutenant Governor's Office, Senators and Senate employees. SRC staff members also provide research assistance for interim committees and task forces. Research projects are handled confidentially upon request. Staff researchers specialize in a myriad of topics of public interest including criminal justice, education, environment, regulation, and health and human services. During legislative sessions, SRC prepares analyses of all the bills that pass through the Senate. The bill analyses are updated following committee action and upon enrollment. House bills are analyzed when sent to the Senate and updated following each Senate action. SRC publishes research and legislative reports for the Senate and Lieutenant Governor's Office. For example, SRC produces In Brief reports periodically during the regular session of the legislature that focus on major legislative issues, summarize other states' actions regarding the issues, and describe relevant bills submitted by Senate and House members. More detailed special reports are undertaken during the interim. During the legislative interim, SRC staff attend meetings and conferences conducted by boards, commissions, gubernatorial task forces, state agencies and any other governmental entity that may be relevant to the legislature.